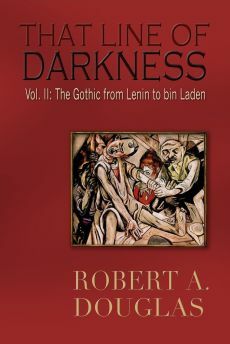 In the Epilogue of That Line of Darkness: The Gothic from Lenin to bin Laden, Encompass Editions, 2013, I wrote that “not a single SS officer arrested after the war demonstrated any remorse.” I had not yet encountered a perpetrator seeking forgiveness from a victim until I read The Sunflower: On the Possibilities and Limits of Forgiveness (1969, 1997) by the late concentration camp survivor and Nazi hunter, Simon Wiesenthal. He recounts that when in the camps he was once assigned to hear the death-bed confession of a SS officer in the hope that he, a Jew, would offer the dying man absolution. Although the young man appeared to show remorse over the crimes in which he had participated in the East, he was also self-centered, as he repeatedly indicated that he was too young to die, and more offensively, he contended that Jews died quickly, whereas, he was suffering a slow death. Wiesenthal offered compassion by holding his hand and by listening, but he remained silent throughout this ordeal. He left without saying a word. That meeting unsettled him and disturbed his equilibrium when he debated with camp inmates the morality of forgiving this man. Two years later, his companions are all dead but that encounter with the SS officer continued to preoccupy him and invaded his dreams as he talked about it again. After the war, he visited the young man’s mother to hear her story about her “good son” who would never have committed the crimes that she had heard about. He decided not to compound the woman’s sufferings by disabusing her. Wiesenthal came to the conclusion that the only individuals who could offer forgiveness were those who had directly suffered from a perpetrator’s actions. He also noted that twenty five years later at the Stuttgart trials only one of the accused acknowledged his crimes and showed contrition; the rest challenged what the victims said and, according to Wiesenthal, only regretted that there were survivors to testify against them. Wiesenthal’s book came to my attention when I read The Storyteller by Jodi Picoult (Emily Bestler Books, 2013) who begins her acknowledgments by indicating that his book was the genesis for her exploration of the moral and philosophical conundrums he raised if the same request was made decades later by a perpetrator to a Jew. Picoult, a prolific writer, is a novelist of twenty books who focuses on the family by addressing current controversial issues, among them: gay relationships, the dissolution of professional and personal boundaries when one’s child is a victim of sexual abuse, the dilemmas posed by contentious medical procedures and school shootings. The Storyteller may be her most ambitious and layered work. 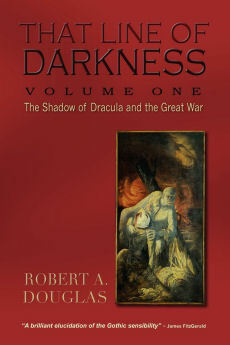 The novel begins with a dark fairy tale, reminiscent of a story told by the Grimm brothers or Hans Christian Anderson. A young woman falls in love with a vampire-like creature called the upior who terrorizes the town and may have killed the girl’s father. This tale is woven in and out throughout and we are not certain of its significance until later in the novel when it becomes clear that this allegory was written by a Holocaust survivor, Minka, the grandmother of a young woman, Sage Singer, whose viewpoint anchors the present-day account. Stricken by the death of her father and further traumatized by her mother’s death (from an incident that is not initially revealed) that left her with a disfigured face, Sage isolates herself by working alone at the overnight shift in a bakeshop. Except for an occasional tryst with a married man, her primary outing is attending a weekly grief support group. There she meets and befriends a ninety-five year old retired German teacher, Josef Weber, much beloved by the community. As they gradually become acquainted, he informs her that his real name is Reiner and that he was an SS Nazi guard at Auschwitz. He compounds her shock by asking her to forgive him and by requesting that she kill him. 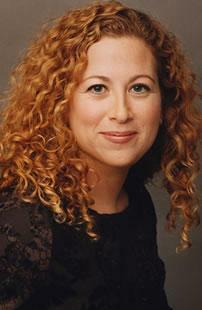 Therefore, Picoult updates the deathbed confession that Wiesenthal heard decades before. Sage contacts the U.S. Department of Justice and Nazi hunter, Leo Stein, arrives at her doorstep. He urges her to elicit from her grandmother her wartime experiences in Poland and Germany. Minka’s reminiscences constitute the most gripping section of the novel. Beginning with her idyllic childhood in Lodz, Minka recounts in heart-wrenching detail her family’s reallocation to the misery and death of the ghetto, the horror of Auschwitz and finally the grueling forced marches to Germany before she is liberated by the Allies. Picoult has done her research and she is unflinching in her descriptions. For example, she has incorporated into Minka’s narrative passages culled from Gerda Weissmann Klein’s memoir, All But My Life (1995). 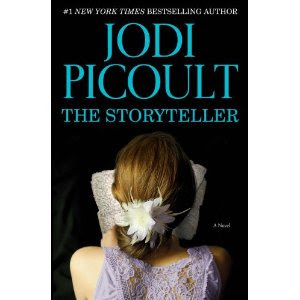 Picoult’s distinctive contribution is her ability to integrate a Gothic tale into that narrative. As a young girl, Minka explains, “people have to experience things that terrify them. If they don’t, how will they come to appreciate safety.” The reader senses the irony before she does, as the horror she will experience will pale beside the tale of a blood-thirsty upior. Part Three returns to the present and the challenge presented to Sage and Leo as to whether one of Minka’s tormentors was the man they know as Josef Weber. His confession to Sage would suggest that Reiner had been a bully, recruited early by the Hitler Youth and later by the SS, who was endowed with physical skills and an eroded conscience, an individual much exalted by the Nazi regime. But was this brutal overseer of the women’s camp Josef? If Sage accedes to Josef’s request to kill him, would it be justice, revenge or murder? Instead of addressing these questions, the exchanges between Sage and her new love interest, Leo, in part echo those that Wiesenthal engaged in about the morality of forgiveness and in part Leo’s conviction of the need for punishment, regardless of the age of the perpetrator, as a reminder to current criminals who participate in genocide and crimes against humanity that they will be pursued and brought to justice. The ending, which is not really a surprise – Picoult telegraphs too many clues – leaves the reader somewhat dissatisfied. Nonetheless, Picoult does attempt to address important issues, not the least being how some individuals, who have committed terrible crimes in the past, can remake themselves into socially acceptable members of a new community and evade justice.